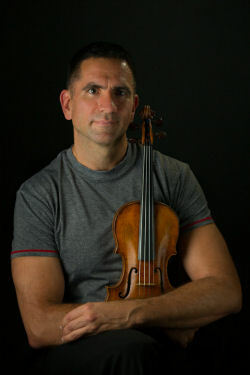 "In their rendition of these miniatures [5 Hommages by David Osbon], the Anglo-American Duo exhibit their usual solid technique and imbue it with great sensitivity." "The Anglo-American Duo and cellist Lorraine Deacon play [Still Waiting for the Revolution… by David Osbon] with great virtuosity and intriguing musical colors." 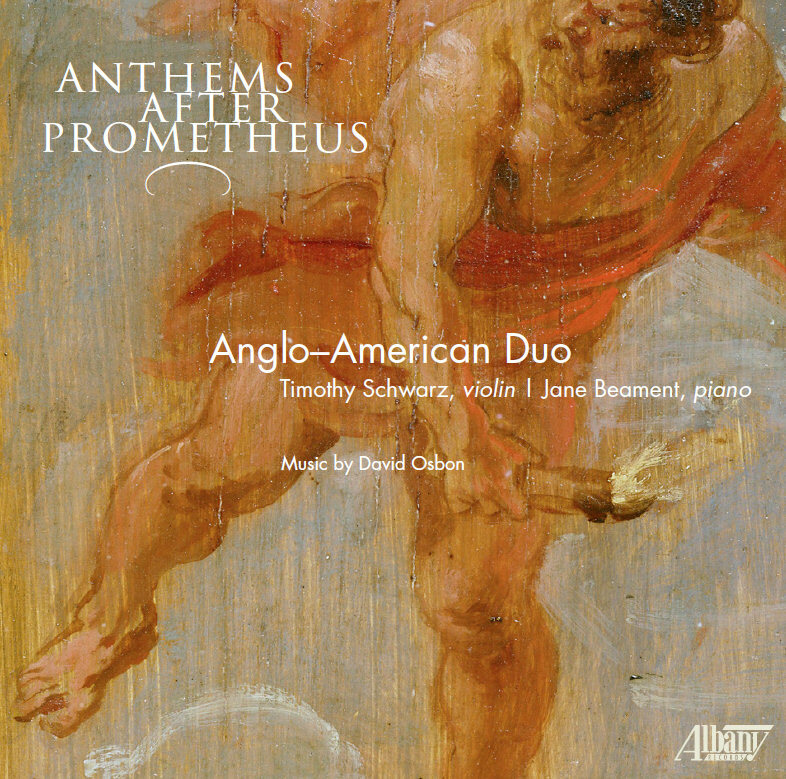 "Anthems After Prometheus is an excellent collection of David Osbon’s fascinating compositions played by musicians of great virtuosity." 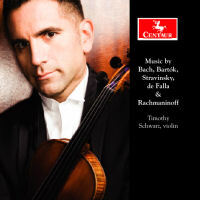 "Schwarz performs beautifully, with a clean, open upper register and silken tone. The performance is intense and passionate, with a fervor that grabs one’s attention for the duration of the nine-minute piece." 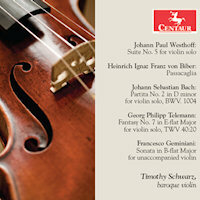 Explore the rich world of unaccompanied violin music from the baroque period. 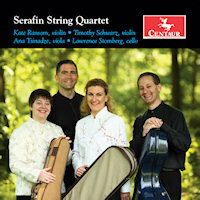 "Schwarz and Charity Wicks give one of the very best readings of the [Bartok] Sonata I have heard. They have obviously given the work a good deal of thought, and this is good enough to be the only recoding of this work in your collection if you just want one." 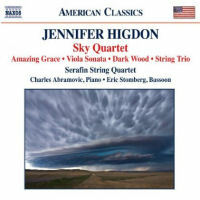 "Pleasantly exuberant and tender as required"
Tim Schwarz and Dan Weiser explore the tremendous variety, energy, virtuosity, and craftsmanship of American chamber music.